Sonendo: We Live Endo™— we innovate more, we expect more, we care more. This mantra is evident in the technology driving our flagship invention: the GentleWave® System. Founded upon Sound Science® Technology, the GentleWave System empowers our providers by elevating their clinical expertise and enabling them to deliver debridement and disinfection results like never before. The GentleWave System is backed by years of research and peer-reviewed clinical outcomes. It reflects our dedication to demanding more from our technology—to improve experiences for patients and practices everywhere. A multi-stage optimization process to degas and adjust concentration of fluids before they are constantly refreshed and circulated through the root canal system. 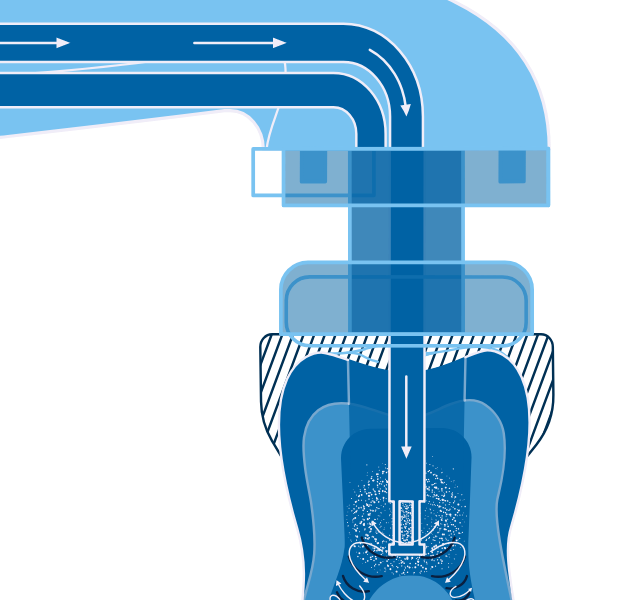 Useful cavitation and vortical flow are induced for maximum tissue debridement and dissolution. Superior outcomes are produced by the technology of the GentleWave® System. Sonendo® announced today the Canada launch of the GentleWave® System. The timing of the launch coincides with the American Association of Endodontists (AAE) annual meeting which will take place, April 10-13, 2019, in Montreal, Canada. Upon post-operative radiographic examination, multiple lateral canals within the apical third of the palatal and distobuccal canals as well as an isthmus between the mesiobuccal canals were visualized. Upon contact with the patient three days post-operative, the patient reported no discomfort. Courses, webinars and other informative content sponsored by Sonendo. Attending AAE19? See What Sonendo® Has Planned! AAE’s annual meeting, the most comprehensive endodontic education summit and vendor exhibition in the world, is once again slated to be an exciting and educational experience. See the special events we have in store for attendees! The GentleWave® System removes infected tissue, biofilm and smear layer2 in what is typically a one-session1 procedure. It’s a level of efficiency only Sonendo® innovation can offer. Attract more patients and win more referral business with your state-of-the-art technology. Increase billable visits and improve the economy of your practice with your GentleWave® System.